The Edwards School of Business is proud to share the accomplishments of our outstanding alumni. These achievements below represent only a small sampling of the many accomplishments of Edwards alumni across the world. How do YOU make the Edwards Community proud? If you have an update you would like to share about yourself or a fellow alumnus who should be recognized, please contact us. We want to celebrate your successes! 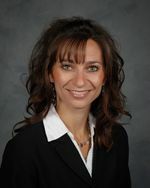 Ms. Lisa Laskowski (B.Comm. 1990) was appointed as the Director of Development and Chief Development Officer at Remai Modern. Mr. Grant Kook S.O.M., C.Dir. (B.Comm. 1985) was the recipient of the 2018 ABEX Business Leader of the Year Award. Mr. Cole Thorpe (B.Comm. 2014) was named as a CBC Saskatchewan Future 40 winner for 2018. Ms. Stephanie Yong (B.Comm. 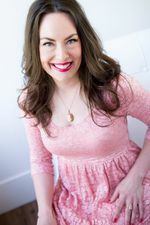 2009) was named as a CBC Saskatchewan Future 40 winner for 2018. Mr. Yang Chen (MBA 2012) was named as a CBC Saskatchewan Future 40 winner for 2018. Ms. Jennifer Bain (B.Comm. 2000) received the AFP Saskatoon Chapter Honoured Supporter Award. Ms. Jane Button (B.Comm. 1996) received the AFP Saskatoon Chapter Honoured Supporter Award. Mr. Ricky Forbes (B.Comm. 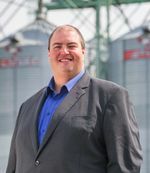 2010) was named as a CBC Saskatchewan Future 40 winner for 2018. Ms. Melinda Park (B.Comm. 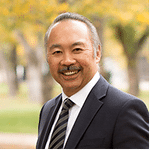 1991) was appointed the Chair of the Board of Governors for the Southern Alberta Institute of Technology (SAIT). Ms. Shelley Brown C.M., FCPA, FCA (B.Comm. 1978) became a member of the Order of Canada. 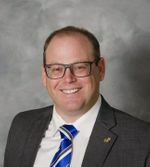 Mr. Ian Sutherland was recognized by the Saskatoon Community Foundation for his service as a member of the Board of Directors from 2011 - 2018. 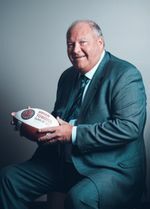 Mr. Percy Hoff (BUSADM 1987) was named Kinsmen Sportsman of the Year for 2019. Ms. Shelley Brown C.M., FCPA, FCA (B.Comm. 1978) received a Lifetime Achievement Award from the Chartered Professional Accountants of British Columbia (CPABC). 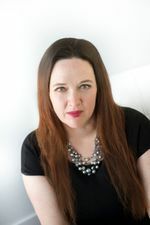 Ms. Kimberly Bryce (MBA 2004) was appointed Chief Science Officer of Mother Labs. Mr. Wilfred Sean Willy (B.Comm. 2008) was appointed CEO of Des Nedhe Development Corporation. Mr. Brian Towriss, S.O.M. (B.Comm. 1978) received a 2017 Alumni Achievement Award. Mr. Chad Magnus, CA (B.Comm. 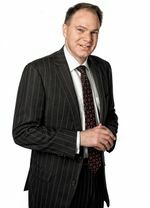 1998) was appointed Executive Vice President & CFO at Secure Energy Services Inc.
Mr. Peter Haukedal (B.Comm. 1982) was appointed Director of Intigold Mines Ltd.
Ms. Susan Busse (B.Comm. 1999) received the 2017 Impact in Music Marketing Award from the Western Canadian Music Association. Ms. Clare Isman (B.Comm. 1979) was appointed Senior Advisor to the Deputy Minister to the Premier within Executive Council by the Government of Saskatchewan. Mr. Derek Payne, CPA (B.Comm. 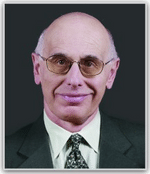 1993) was named Chief Financial Officer at FLYHT Aerospace Solutions Ltd.
Mr. Merlis Belsher, FCPA, CA (B.Comm. 1963) received a Fellow of Chartered Professional Accountants (FCPA) designation. 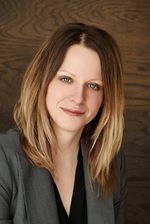 Ms. Victoria McDougall, FCPA, CGA (B.Comm. 1993) received a Fellow of Chartered Professional Accountants (FCPA) designation. 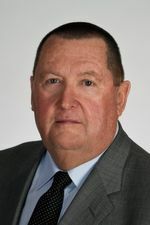 Mr. Charles Baldock, FCPA, FCA (BUSADMIN 1974) received a Fellow of Chartered Professional Accountants (FCPA) designation. Mr. Tom Robinson, FCPA, FCA (ADMIN 1968) received a Fellow of Chartered Professional Accountants (FCPA) designation. Ms. CeCe Baptiste, CPA, CMA (CIBA 2002, B.Comm. 2004) was named one of CBC Saskatchewan Future 40 for 2017. Ms. Karen Robson (B.Comm. 2013) was named one of CBC Saskatchewan Future 40 for 2017. 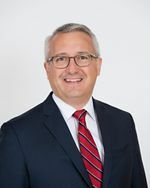 Mr. Kent Smith-Windsor (B.Comm. 1982) received the Roger Phillips Chamber Builder Award at the 2017 SABEX Awards. 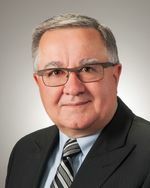 Mr. John Pantazopoulos, CPA, C.F.A. (B.Comm. 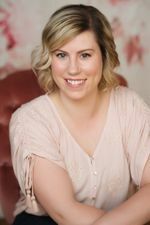 2000) was recognized as one of Calgary’s Top 40 under 40 for 2017 by Avenue Calgary. Ms. Renata Huyghebaert (B.Comm. 2017) received the AFP Saskatoon Chapter Chamberlain Scholarship. Ms. Sloane Muldoon (B.Comm. 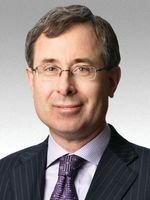 1991) was appointed Senior Vice President, Prairie Region at Scotiabank. Ms. Alice Wong (B.Comm. 1984) was named an Arts & Science Alumni of Influence for 2018. Dr. Keith Martell, CAFM, CA (B.Comm. 1985) was appointed Trust Fund Chair for the National Indian Brotherhood Trust Fund (NIB). 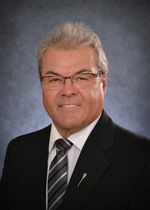 Mr. Wayne Brownlee (MBA 1977) received the AFP Saskatoon Chapter Honoured Supporter Award. Ms. Danielle Favreau, CA (B.Comm. 2001) was appointed Chief Financial Officer of Karnalyte Resources Inc.
Mr. Joel Friesen, Q.C. (B.Comm. 2005) was appointed Queen's Counsel (Q.C.). 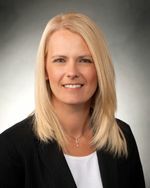 Ms. Sherri Willick (BUSADM 2006) was elected to the Saskatchewan Soccer Board of Directors for a two year term. Mr. Nick Purich (B.Comm. 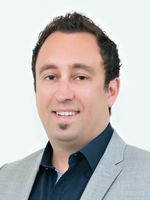 2010, MPAcc 2011) received a 20 Under 40 Young Professional Northwestern Ontraio Visionary Award (NOVA) in the Business and Professional Achievement Category at the fourth biennial Northwestern Ontario Visionary Award. 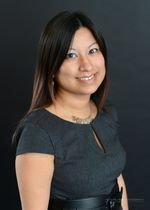 Ms. Serese Selanders (MBA 2013) was appointed to the Board of Directors of the Saskatchewan Health Quality Council. The Hon. Mr. Just. Justice Bill Basran (B.Comm. 1989) was appointed a judge of the Supreme Court of British Columbia in Vancouver by the Department of Justice, Government of Canada. Mr. Murad Al-Katib, S.O.M., ICD.D (B.Comm. 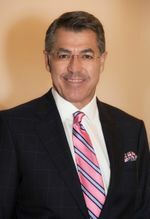 1994) was appointed Director of Golden Opportunities Fund Inc.
Dr. Anas El-Aneed was appointed a member of the Natural Sciences and Engineering Research Council of Canada (NSERC) Governing Council, Governmnent of Canada. 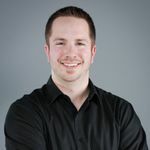 Mr. Dave Guebert, CPA, CA (B.Comm. 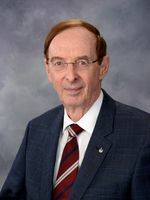 1979) was named Director of Nebo Capital Corp.
Mr. Frederick Sutter (Certificate in Accounting 1962, Certificate in Local Administration 1964, Certificate in Adminsitration 1970) received a Canada 150 Medal. 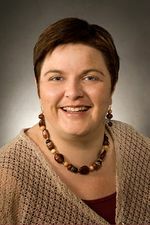 Dr. Shelley Kirychuk (MBA 2001) received the 2017-2018 SHRF Collaborative Innovation Development Grant. Dr. Kalyani Premkumar (MBA 2016) received the 2017-2018 SHRF Collaborative Innovation Development Grant. 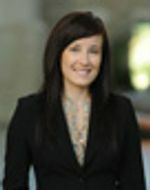 Ms. Michelle Al-Katib, S.V.M. (B.Comm. 1994) received the Saskatchewan Volunteer Medal. Mr. Jared Ablass (B.Comm. 2017) completed his Specialized Master in Finance degree from Ohio State University. Ms. Mackenzie Firby (B.Comm. 2003) was appointed to the Board of Directors of the Saskatchewan Roughriders. 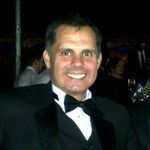 Mr. Merlis Belsher, FCPA, CA (B.Comm. 1963) was inducted into the Junior Achievement Business Hall of Fame. Mr. Merlis Belsher, FCPA, CA (B.Comm. 1963) was a recipient of an honourary Doctor of Laws from the University of Saskatchewan. Ms. Audrey Hestand (B.Comm. 2010) received the YWCA Women of Distinction Education Award. Ms. Nathalie Johnstone, FCPA, FCA (B.Comm. 1999, MPAcc 2000) received a 2018 USSU Teaching Excellence Award. Mr. Jim Kerby Q.C. (B.Comm. 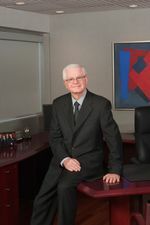 1981) was appointed Director and Vice-Chair of the Saskatoon Airport Authority. 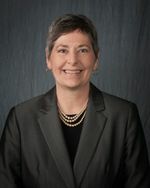 Ms. Peggie Koenig (BUSADM 1982, B.Comm. 1987, MBA 1996) received the YWCA Women of Distinction Leadership in the Professions Award. Ms. Sandra Maxwell (LSC 2004) received the YWCA Women of Distinction Lifetime Achievement Award. Ms. Michelle MacDonald (B.Comm. 2003) was elected District Representative, District 5 for the University of Saskatchewan Senate. Mr. Jack Neumann (B.Comm. 1969) received the CoSIDA Lifetime Achievement Award. Mr. Kerry Preete (B.Comm. 1985) was appointed Director of Univar Inc.
Mr. Ian Reid (B.Comm. 1977) was appointed Director of OceanGold Corporation. 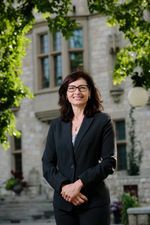 Dr. Mary-Jo Romaniuk (B.Comm. 1983) was appointed Vice-Provost, Libraries & Cultural Resources at the University of Calgary. 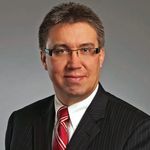 Mr. Graham Snell (CEBAC 2014) was appointed Director of the Greater Saskatoon Chamber of Commerce. Dr. Lee Swanson (B.Comm. 1984, MBA 1995) received the Provost's College Award for Outstanding Teaching. Mr. Colton Wiegers (B.Comm. 2016) was appointed Director of the Greater Saskatoon Chamber of Commerce. 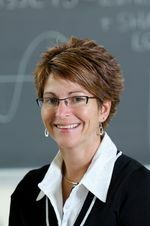 Ms. Tracey Wray (BUSADM 1996) received the Provost's Project Grant for Innovative Practice in Collaborative Teaching and Learning. Ms. Clare Isman (B.Comm. 1979) was appointed President & CEO of the Saskatchewan Liquor & Gaming Authority. 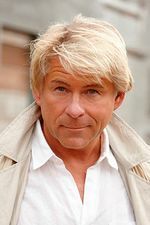 Dr. Wayne Wouters. P.C., O.C. (B.Comm. 1974) was awarded an Officer of the Order of Canada. Mr. Joshua Simair (B.Comm. 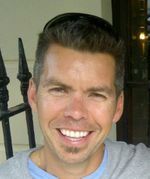 2010) was named one of Canada's Top 40 Under 40. Mr. Murad Al-Katib, S.O.M., ICD.D (B.Comm 1994) received the Saskatchewan Order of Merit. 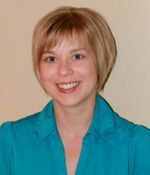 Ms. Jennifer Campeau (MBA 2009) accepted a senior advising role with Rio Tinto Alcan. 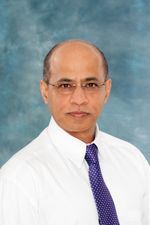 Mr. Rajesh Kavia (BUSADM 2016) received the 2017 Newcomer Entrepreneur of the Year Award. 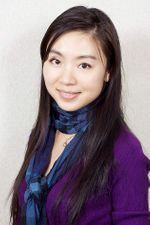 Ms. Qi Tang, CPA, CA, C.F.A. (M.Sc. Accounting 1995) was appointed as Senior Vice President & CFO of RioCan Real Estate Investment Trust. Mr. Curtis Potyondi (B.Comm. 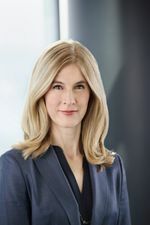 1991) was nominated for the 2017 EY Canadian Entrepreneur of the Year Award. Mr. Richard McHardy (B.Comm. 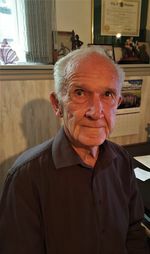 1990) was named 2017 Oil Man of the Year in the Saskatchewan Oil Patch Hall of Fame. 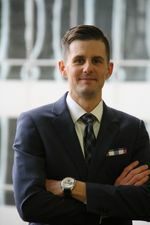 Mr. Thomas Zurowski, CPA, CA (B.Comm. 1982) was appointed to the Board of Directors of the Saskatchewan Health Authority. Mr. Grant Kook, S.O.M., C.Dir. (B.Comm. 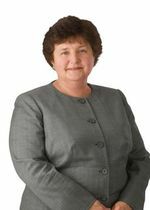 1985) was appointed as vice-chairperson of the Board of Directors for the Saskatchewan Health Authority. Mr. Richard Carter, FCPA, FCA, C.Dir.(B.Comm. 1971) was appointed as chairperson of the Board of Directors for the Saskatchewan Health Authority. Mr. Murad Al-Katib, S.O.M., ICD.D (B.Comm 1994) was awarded the 2017 EY Entrepreneur of the Year Award. Mr. Daniel Zrymiak (B.Comm. 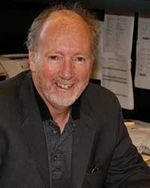 1991) was awarded the ASQ Crosby Medal for his work as the co-author of the ASQ Six Sigma Green Belt Handbook. 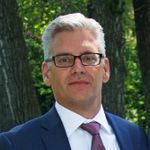 Mr. Neil Weber, CPA, CMA, CA, C.B.V. (B.Comm. 1989) was re-appointed to the St. Paul's Hospital Foundation's Board of Directors. 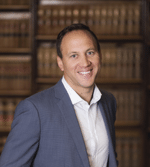 Mr. Alan Koop, CPA, CA (B.Comm. 2007) was re-appointed to the St. Paul's Hospital Foundation's Board of Directors. 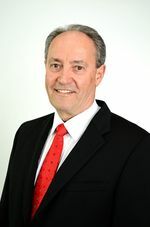 Mr. Dean Bernhard, C.M.A. (B.Comm. 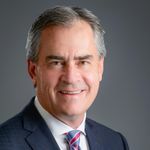 1991) was appointed to the Board of Directors of RMP Energy Inc.
Mr. Brian Reilly (MBA 2000) was appointed as VP Mining, Technology & Projects of Cameco from March 2017 to June 30, 2017 and Sr.VP & COO of Cameco effective June 30, 2017. 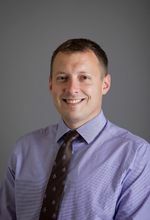 Dr. Jason Perepelkin (B.Comm. 2002) was awarded the Provost's Award for Outstanding Innovation in Learning. Dr. Hayley Hesseln (B.Comm. 1991) was awarded the Master Teacher Award. 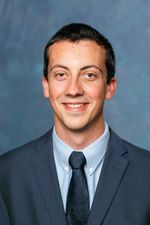 Mr. Vince Bruni-Bossio, ICD.D (MBA 2010) was awarded the Provost's College Award for Outstanding Teaching. Chief Darcy Bear (BUSADM 2009) was inducted into the Junior Achievement Business Hall of Fame. Mr. Trevor Thiessen (B.Comm. 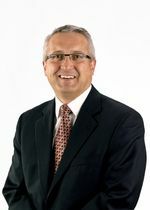 1993, MBA 1999) was re-elected to serve a two-year term on the Greater Saskatoon Chamber of Commerce Board of Directors. 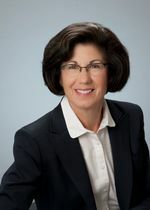 Ms. Peggie Koenig (BUSADM 1982, B.Comm. 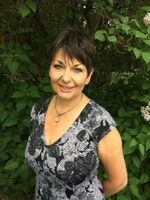 1987, MBA 1996) was elected to serve as First Vice-Chair of the Greater Saskatoon Chamber of Commerce for 2017/2018. Ms. Ainsley Robertson (B.Comm. 2009) was recognized by the Canadian Red Cross as a 2017 Young Humanitarian of the Year. Mr. Barry Munro, FCPA, FCA (B.Comm. 1984) received a Fellow of Chartered Professional Accountants (FCPA) designation. 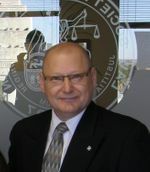 Mr. Colin Bachynski S.V.M., K.St.J. (B.Comm. 1979) was awarded the Saskatchewan Volunteer Medal. Mr. Brian Towriss S.O.M. (B.Comm. 1978) will be inducted into the Canadian Football Hall of Fame in September of 2017. Mr. Murad Al-Katib (B.Comm. 1994) received the Olso Business for Peace Award. Ms. Qi Tang (M.Sc. Accounting 1995) was appointed as Acting Chief Financial Officer of the RioCan Real Estate Investment Trust. 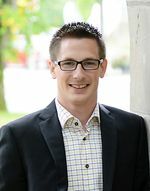 Mr. John Jeffrey (MBA 2013) was appointed to the Board of Directors of Saturn Oil + Gas Inc.
Ms. Cara Keating (B.Comm. 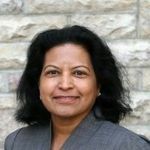 1999) was appointed Vice President, Customer Service Development of PepsiCo Foods Canada. Mr. Murad Al-Katib (B.Comm. 1994) was nominated for the Oslo Business for Peace Award at the 2017 Celebrate Success! Awards Gala. 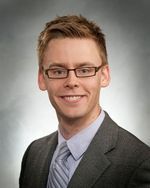 Mr. Christopher Hengen-Braun (B.Comm. 2011) was awarded the USSU Engaged Young Alumni Award. Mr. Robert Korol (B.Comm. 1984) received a Fellow of the Chartered Professional Accountants (FCPA) designation. Hon. Noraini Ahmad (B.Comm. 1991) was elected Chairperson of the Commonwealth Women Parliamentarians (CWP). Mr. Mark Hopkins (B.Comm. 1979) was appointed Interim Chief Financial Officer of Maha Energy AB. 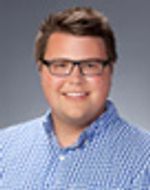 Mr. Collin Hirschfeld (B.Comm. 1994) was appointed to the Queen's Counsel (Q.C.). 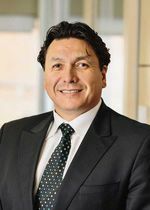 Chief Darcy Bear (BUSADMIN 2009) of Whitecap Dakota First Nation was selected to chair the SaskPower Board of Directors. Ms. Nathalie Johnstone, FCPA, FCA (B.Comm. 1999, MPAcc 2000) received a Fellow of the Chartered Professional Accountants (FCPA) designation. Mr. Craig Doidge (B.Comm. 1994, M.Sc. Finance 1997) was appointed Area Coordinator of Finance at Rotman School of Management, Professor of Finance, and Professorship in Corporate Finance. Ms. Mackenzie Firby (B.Comm. 2003) received a 'Best in Customer Service and New Business Venture' SABEX Award for Two Fifty Two Boutique. 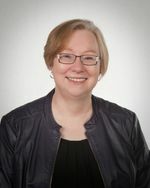 Ms. Sharon Zakreski-Werbicki (BUSADM 1992) was appointed as Trustee for the Greater Saskatoon Catholic Schools Division. Mr. Wayne Wouters (B.Comm. 1974) was named a board member for Champion Iron Limited. 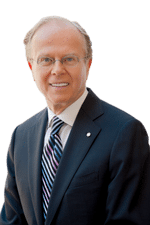 His Worship Denis Perrault CPA, CA, C.Dir. (B.Comm. 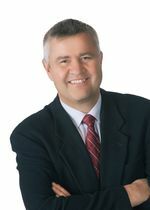 2002) was appointed Mayor for the City of Swift Current and Board of Directors for Saskatchewan Government Insurance. Ms. Susan Milburn (B.Comm. 1978, MBA 1980) was awarded Woman of Distinction by the Raymond James Network of Women Advisors. Ms. Holly Kelleher (B.Comm. 2004, MBA 2011) was appointed as Trustee for the Ward 1 Saskatoon Public School Board. 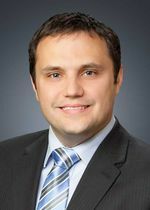 Mr. John Jeffrey (MBA 2013) was appointed Chief Executive Officer of Saturn Oil + Gas Inc.
Mr. James Carriere (BUSADM 1987) was appointed as Trustee for the Greater Saskatoon Catholic Schools Division. Mr. Murad Al-Katib (B.Comm. 1994) was awarded the 2016 EY Entrepreneur of the Year (Prairies) and Canada's Entrepreneur of the Year by Ernst & Young. 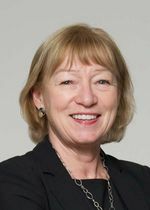 Ms. Bev Dubois (BUSADM 1981) was appointed City of Saskatoon Councillor. Mr. 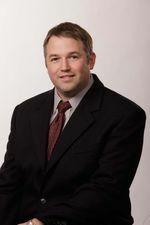 Troy Davies (Certificate in Hospital Administration 1999) was appointed City of Saskatoon Councillor. Mr. David Guebert (B.Comm. 1979) was appointed CFO of Clarocity Corporation. Ms. Carolyn Tastad (B.Comm. 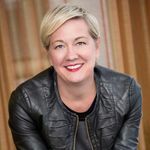 1983) was ranked #37 on Fortune magazine's 2016 list of "50 Most Powerful Women"
Ms. Jennifer Campeau (MBA 2009) was appointed Legislative Secretary to the Minister of Education by the Government of Saskatchewan. Ms.Shelley Brown C.P.A., F.C.A. (B.Comm. 1978) was appointed to the University of Saskatchewan Board of Governors. Mr. John Pantazopoulos CPA, CFA (B.Comm. 2000) was named a 2016 Oil & Gas Rising Star by Oilweek. 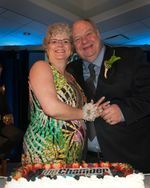 Ms. Shelley Brown, FCA, CPA (B.Comm 1978) was inducted into the Junior Achievement Saskatoon Hall of Fame. Mr. Keith Martell (B.Comm. 1985) was awarded an Honorary Doctor of Laws at the 2016 Convocation. Mr. Damon Bailey Q.C. (B.Comm. 1987) was appointed to the Queen's Counsel (Q.C.) by the Government of Alberta. 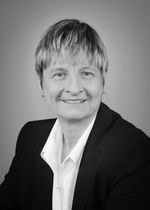 Dr. Barbara Gustafson (MBA 2001) was inducted into the 2016 Women's Hall of Fame by the Prince Albert Council of Women (PACW). Mr. Jay Bachman, CPA, CA (B.Comm. 1999, MPAcc. 2000) was appointed Chief Financial Officer for 3esi-Enersight. Mr. Keith Willoughby (B.Comm. 1990) was awarded a Master Teacher Award. Mr. John Parkinson, CPA, CA (B.Comm. 1993) was named Chief Financial Officer at Vitaeris Inc.
Ms. Xiaoyan (Shirley) Zhou (M.Sc. in Marketing 2005) was a winner of CBC Saskatchewan's Future 40. Mr. Bryce Thoma (B.Comm. 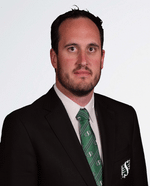 2006) was appointed Assistant Coach for the Saskatoon Blades Hockey Club. 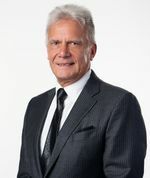 Mr. Marvin Romanow (MBA 1980) was the C.J. Mackenzie Distinguished Graduate Lecturer at the C.J. Mackenzie Gala of Engineering Excellence. 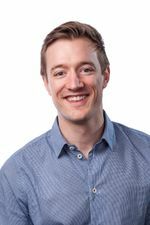 Mr. Brian Nickel (MBA 2013) was named Director of Development for the Vancouver Opera. 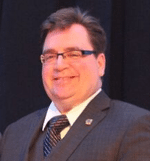 Mr. Douglas Frondall, CPA, CA, CMA, C.M.C., C.V.A (B.Comm. 1986) was named Interim Co-President & Interim Co-CEO at PrimeWest Mortgage Investment Corporation. The Hon. 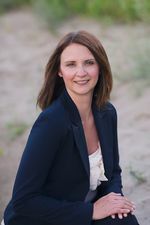 Jennifer Campeau MLA (MBA 2009) was named a Member of the Legislative Assembly for the Saskatchewan Party for the Saskatoon Fairview Constituency. The Hon. 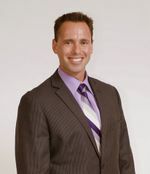 Corey Tochor MLA (B.Comm. 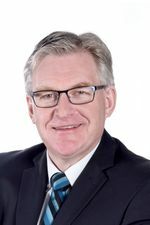 2000) was named a Member of the Legislative Assembly for the Saskatchewan Party for the Saskatoon Eastview Constituency. 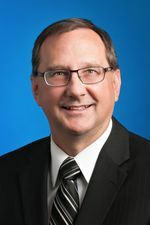 Mr. Roger Parent MLA (BUSADM 1982) was named a Member of the Legislative Assembly for the Saskatchewan Party for the Saskatoon Meewasin Constituency. Mr. Robert McDonald P.Eng, F.E.C. 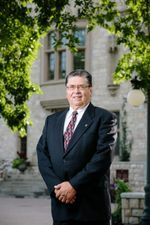 (MBA 1982) was named Executive Director and Registrar by the Association of Professional Engineers & Geoscientists of Saskatchewan. Mr. Cody Barnett (B.Comm. 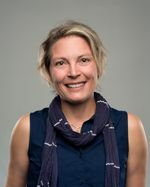 2008) was named Director of Development & Communications at the Nature Conservancy of Canada. 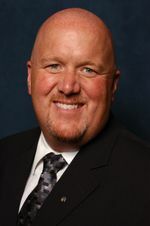 Mr. Thomas Archibald (B.Comm 1978, HECADM 1985) was named Interim Co-President & Interim Co-CEO at PrimeWest Mortgage Investment Corporation. Ms. Adeline Martin, CPA, CA (B.Comm. 1994) was named Vice President of Finance and Chief Financial Officer at Virginia Hills Oil Corporation. Mr. Steven Dechka S.O.M. (B.Comm 1969) received the Saskatchewan Order of Merit. Mr. Gordon Rawlinson C.M., S.O.M. (B.Comm. 1968) received the Saskatchewan Order of Merit. Mr. Osemis Isbister-Bear (CIBA 2000, B.Comm. 2003) was a winner of CBC Saskatchewan's Future 40. 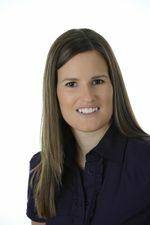 Ms. Kerri Balon (BUSADM 2000) was awarded the 2016 Recruiter Recognition Award by the Canadian Association of Staff Physician Recruiters (CASPR). Mr. Douglas Hodson S.V.M., Q.C. (B.Comm. 1981) was awarded the 2015 Saskatchewan Volunteer Medal. 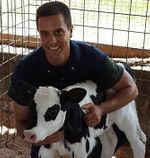 Dr. Elad Ben-Ezra (MBA 2015) was awarded the Petplan Pet Insurance Award in Emergency and Critical Care and the Holstein Association of Canada 2016 Award. Mr. Lee Ahenakew (B.Comm. 1997) was appointed as Board Chair for the University of Saskatchewan Board of Governors. 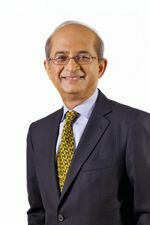 Dr. Rajat Nag (MBA 1974) received an Honorary Doctor of Laws at the University of Saskatchewan 2016 Convocation. Ms. Krista Loewen (B.Comm. 2016) was awarded the Goodspeed Award and the Chartered Professional Accountants of Saskatchewan Prize at the University of Saskatchewan 2016 Convocation. 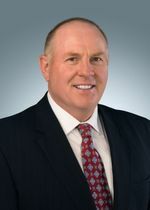 Mr. Kevin Tindall, CPA, CGA (B.Comm. 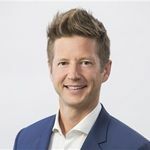 2001) completed the legacy CGA program and received his professional designation from the Institute of Chartered Professional Accountants of Saskatchewan. Ms. Sherri Davenport, CPA, CGA (B.Comm. 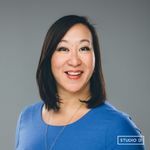 2007) completed the legacy CGA program and received her professional designation from the Institute of Chartered Professional Accountants of Saskatchewan. Ms. Evelyn Ling Ong, CPA, CMA (B.Comm. 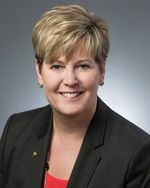 1995) completed the legacy CGA program and received her professional designation from the Institute of Chartered Professional Accountants of Saskatchewan. Mr. Mike Hughes Q.C. (B.Comm. 1980) was appointed Queen's Counsel (Q.C.) by the Government of Saskatchewan. Chief Darcy Bear S.O.M. (BUSADM 2009) received the 2016 Aboriginal Business Hall of Fame Lifetime Achievement Award from the Canadian Council for Aboriginal Business. 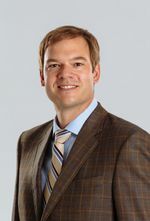 Mr. Tim Prosser, ICD.D (B.Comm. 1990) received an ICD.D. designation from the ICD-Rotman Directors Education Program. Mr. Andrew Will (B.Comm. 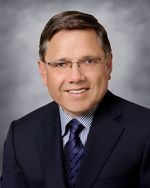 1993) was appointed Interim President & CEO of the Saskatoon Health Region. Mr. Jason Bednar, CPA, CA (B.Comm. 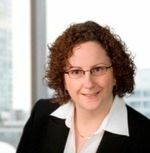 1993) was appointed Chief Financial Officer of Canacol Energy Ltd.
Ms. Danielle Favreau, CPA, CA (B.Comm. 2001) was appointed Interim Chief Financial Officer of Karnalyte Resources Inc.
Hon. Dato' Noraini Ahmad (B.Comm. 1991) was elected as Member of Parliament of the Government of Malaysia and appointed as the Chair of the Malaysia Trade Development Corporation. Mr. Brian Towriss S.O.M. (B.Comm. 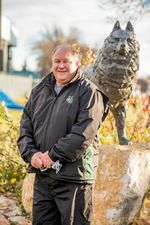 1978) received the 2015 Coach Dedication Award - Male from Sask Sport Inc.
Ms. Carolyn Tastad (B.Comm. 1983) was ranked #36 on the "Most Powerful Women" list as compiled by Fortune Magazine. Mr. Bob Kirkpatrick Q.C. (B.Comm. 1986) was appointed Board Chair of St. Paul’s Hospital. Ms. Daphne Arnason, FCA, CA (B.Comm. 1977) received the 2015 Alumni Achievement Award by U of S Alumni Association. Mr. Aaron Grandberg CA (B.Comm. 1993) was appointed Vice President, Finance & Chief Financial Officer by Kicking Horse Energy Inc.
Ms. Cathy Warner, FCA (B.Comm. 1988) was appointed Vice Chair of the Board of Governors University of Regina. Mr. Wayne Evanisky (B.Comm. 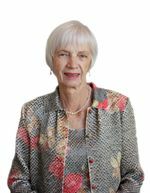 1977) was appointed Past President (2015 - 2016) of the University of Saskatchewan Alumni Association Board of Directors. Ms. Beverley Brennan (Davis), FCPA, FCA (B.Comm. 1962; MBA 1975) was awarded the 2015 Lifetime Achievement Award by Institute of the Chartered Accountants of Alberta. 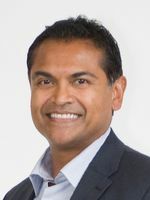 Mr. Ray Kolla, CPA, CA (B.Comm. 1975) was appointed Treasurer (2015-2016) of Board of Governors for St Thomas More College. Ms. Daphne Arnason, FCA, CA (B.Comm. 1977) was appointed Member of University of Saskatchewan Board of Governors. Ms. Kelly Strueby (B.Comm. 1984) was re-elected as Member of the Board (2015-2017) of the University of Saskatchewan Alumni Association Board of Directors. Mr. Don Chynoweth (B.Comm. 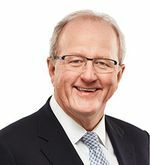 1987) was re-elected to the Potash Corporation of Saskatchewan Board of Directors for 2015/2016. Ms. Peggy Koenig (BUSADM 1982; B.Comm. 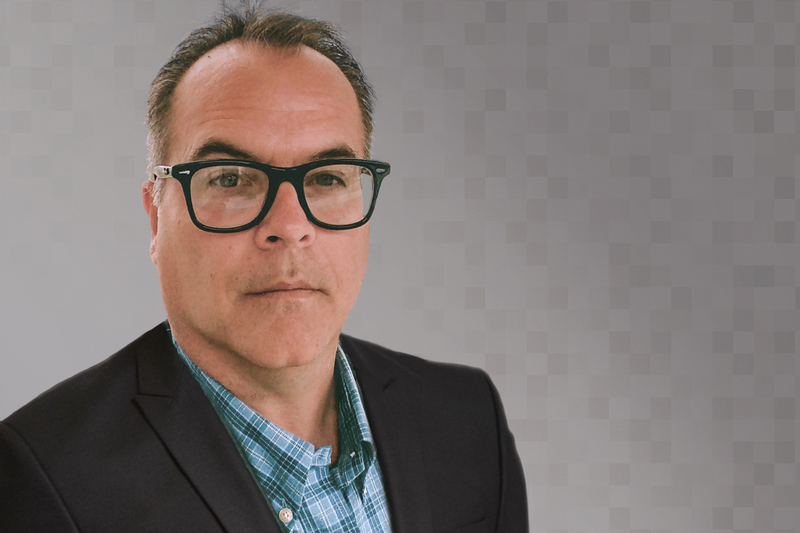 1987; MBA 1996) was elected to the Greater Saskatoon Chamber of Commerce Board of Directors for 2015/2016. Mr. Keith Martell, CAFM, CA (B.Comm. 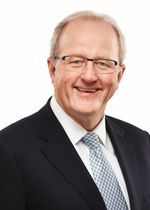 1985) was re-elected to the Potash Corporation of Saskatchewan Board of Directors for 2015/2016. Ms. Nancy Brentnell (B.Comm. 1983) was inducted to the Saskatoon Sports Hall of Fame. 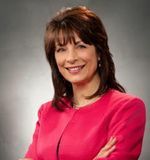 Ms. Silvia Martini (BUSADM 2001; CEBAC 2014) was re-elected to the Greater Saskatoon Chamber of Commerce Board of Directors for 2015/2016. The Hon. Mr. Just. 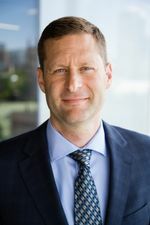 Gary Meschishnick (B.Comm. 1982; LLB 1983) was appointed Justice, Court of Queen's Bench of Saskatchewan by The Honourable Peter MacKay, P.C., Q.C., M.P. for Central Nova, Minister of Justice and Attorney General of Canada. Mr. Karl Miller (B.Comm. 2001) Re-elected to the Greater Saskatoon Chamber of Commerce Board of Directors for 2015/2016. 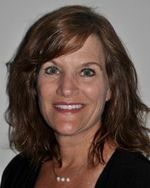 Ms. Kimberly Maber AACI, P.App (B.Comm. 1997) was appointed Partner of Brunsdon Junor Johnson Appraisals. Mr. Sanj Singh (B.Comm. 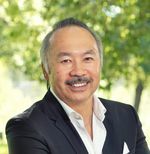 1988; MBA 2005) was re-elected to the Greater Saskatoon Chamber of Commerce Board of Directors for 2015/2016 and was elected to the board of BioteCanada and serves as Vice chair of Emerging Companies. Mr. Trevor Thiessen (B.Comm. 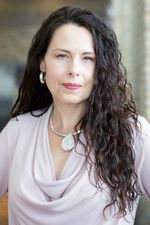 1993; MBA 1999) was elected to the Greater Saskatoon Chamber of Commerce Board of Directors for 2015/2016. Mrs. Rae Bourner (BUSADM 1986) received the President's Service Award from the University of Saskatchewan. Mr. Christopher Dekker (B.Comm. 1984) was appointed Interim President & CEO of STEP. Dr. Harry Turtle (B.Comm. 1986) was appointed Finance and Real Estate Dept. Chair, College of Business Colorado State University. 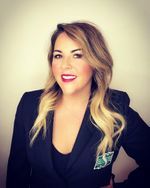 Ms. Laura Missal, CPA, CA (B.Comm. 2001) was appointed Director of Finance for the City of Weyburn. Ms. Colleen Norris (B.Comm. 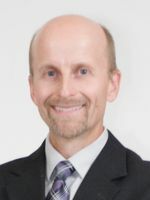 1998; BED 2003; MEDUC 2010) was appointed Director of Government of Saskatchewan - Ministry of Education - Saskatchewan Professional Teachers Regulatory Board (SPTRB). Mr. Ryan Ellson, CA (B.Comm. 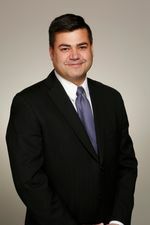 2000; MPACC 2002) was appointed Chief Financial Officer for Gran Tierra Energy Inc.
Mr. Jason Klassen (B.Comm. 1993) was appointed Vice President, Global Parts Operations for MacDon Industries Ltd.
Mr. Jack Neumann (B.Comm. 1969; BA 1970) was awarded the Austin-Matthews Award by the Canadian Interuniversity Sport. 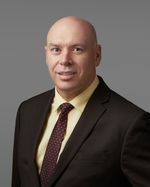 Dr. Gary Entwistle (B.Comm. 1984; MSc 1991) was appointed 2015 Provost's College Awards for Outstanding Teaching - Edwards School of Business. Mr. Kevin Fergusson, CA (B.Comm. 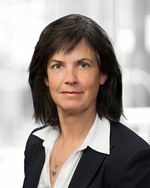 2000) was named partner Collins barrow LLP (Red Deer). 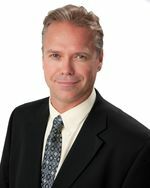 Dr. Wayne Wouters P.C. (B.Comm. 1974, LLD 2012) was named Strategic & Policy Advisor - Mccarthy Tetrault LLP. Ms. Brandy Mackintosh, CA (B.Comm. 1997) was appointed USSU 2014 - 2015 Teaching Excellence Award. Mr. Craig Reynolds (B.Comm. 1998, MPAcc 1999) was named one of CBC Saskatchewan Future 40 for 2015. Ms. Jackie Pilon (B.Comm. 2009) was appointed Director of the North Saskatoon Business Association (NSBA) (March 7, 2015). 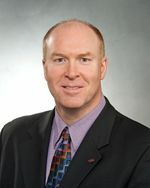 Mr. Bryan McCrea, CMA (B.Comm. 2009) was appointed Director of the North Saskatoon Business Association (NSBA) (March 7, 2015). Mr. Alan Migneault (B.Comm. 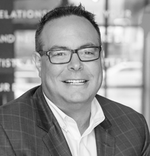 1990) was appointed Director of the North Saskatoon Business Association (NSBA) (March 7, 2015). Mr. Dev Bhangui C.M.C., P.Eng. (MBA 1994) was named Vice President, Investment of Third Eye Capital (TEC) Corporation. Ms. Joanne Alexander (B.Comm. 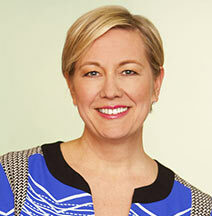 1989; LLB 1990) was named one of 2014 Canada's Most Powerful Women: Top 100 by Women's Executive Network (WXN). Mr. Tony Bidulka, CA (B.Comm. 1991) was the Co-recipient of the 2014 CTV Saskatoon Citizen of the Year Award by CTV Saskatoon (January 1, 2015).